Every spring, Mother Nature gives herself a new life. Flowers and trees burst into colour and with each new leaf and flower comes the hope of new beginnings and the chance to start afresh. Have you ever given some time to contemplate how amazing Mother Nature is? We wake up one morning to the sounds of birdsong and look out the window and notice everything seems brighter and greener, but then turn back and with the hustle and bustle of our busy lives forget that moment, and the beauty that surrounds us. Nature begins anew in the Spring. How about you? Wouldn’t it feel wonderful to do the same and start afresh? 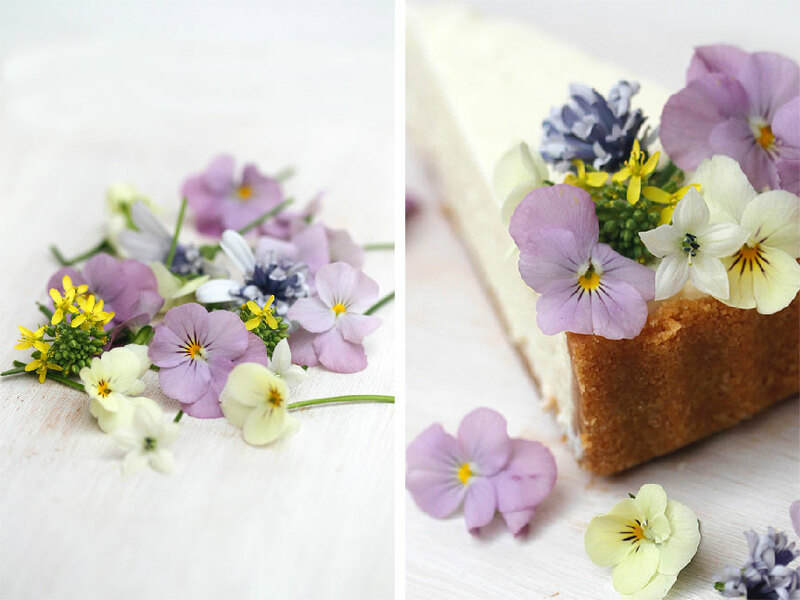 Using edible flowers I have added a touch of Spring to this beautifully light and delicious cheesecake to revive an old recipe from what seems like a former life. When I looked through this recipe and saw the dreaded words “condensed milk” my first thoughts were “No No No!!!! !” but then I remembered that this recipe is the exception to my rule of “no condensed milk”. Believe me it is worth making, you will not regret it. 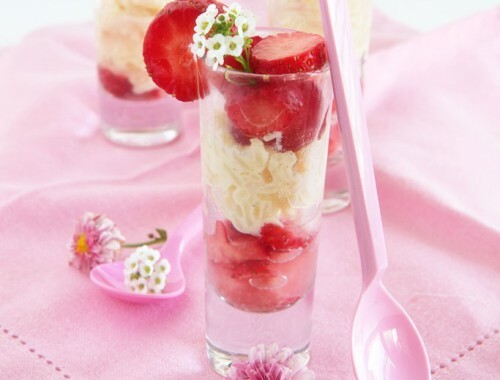 It is No Bake therefore flop-proof, it is creamy, and it is deliciously easy to whip up in no time. 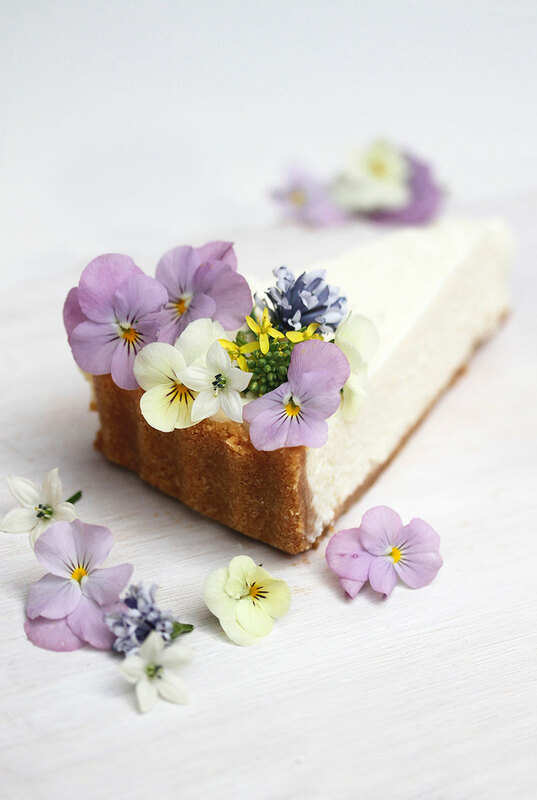 Edible flowers are the easiest way to decorate a cake or any dessert for that matter and they seem to make a simple cake or tart look spectacular. 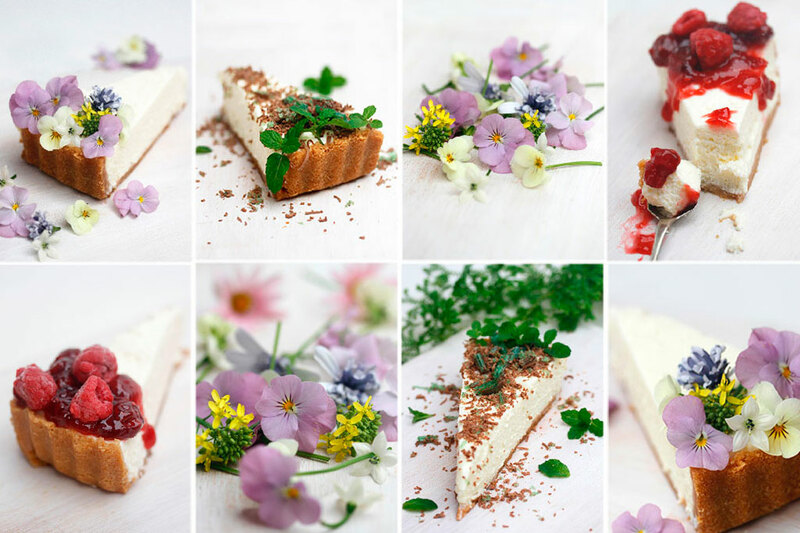 I used to make this cheesecake so often when I was first married, but never thought to add anything exciting and new to the top. 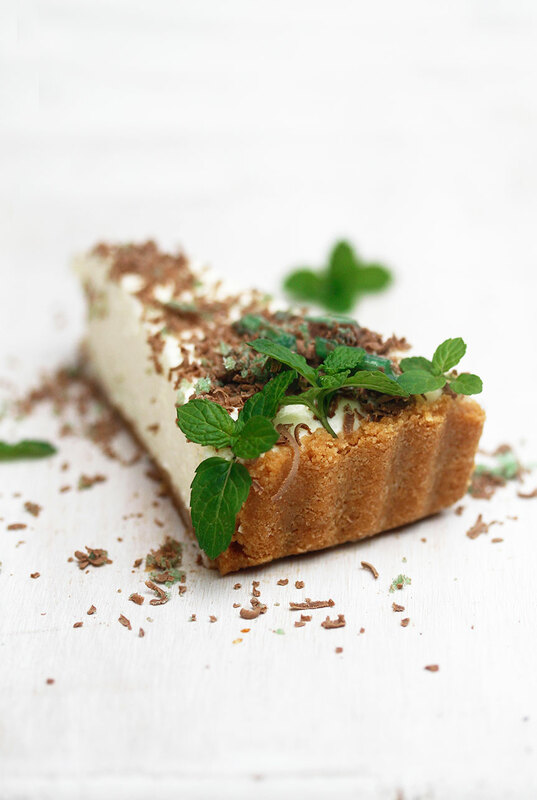 I would make the biscuit base, add the filling, and keep some of the crushed biscuit to sprinkle on the top. Easy and simple, and yet still perfect, but not new and exciting. Then Spring arrived, and thoughts of new beginnings. So here are a few new toppings that I have tried out. They are still simple, but effective . 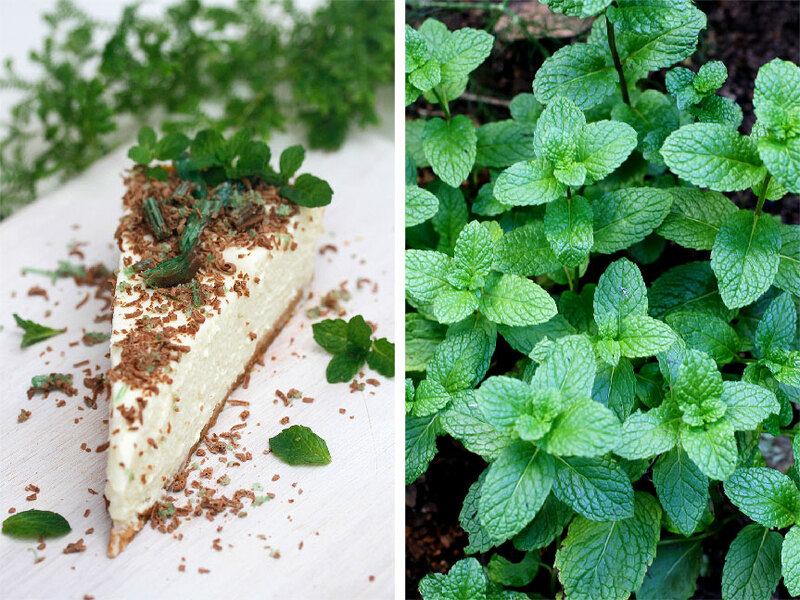 I grated my favourite chocolate peppermint crisp over this cheesecake and added fresh young mint sprigs from the garden. For another option I made a simple coulis with raspberries and cranberries and drizzled it over. Sieve the raspberries to get a thick puree. Put some dried cranberries in a small pot with a little orange juice or water and slowly boil. Add sugar to taste, and once the cranberries have plumped up, add the raspberry puree. 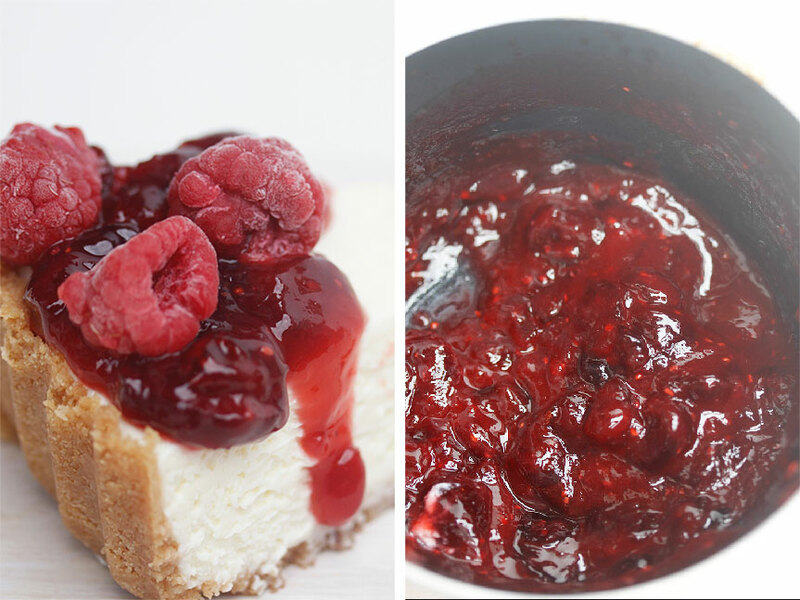 Try your favourite toppings and make this cheesecake something that you can call your own. Place biscuits in a food processor and crush. Add melted butter and blend. You may have to add less or slightly more butter to get the consistency correct , depending on what biscuits you use. Press into a greased pie dish and refrigerate until cold and firm. Beat the cream until stiff. In another bowl mix the condensed milk with the lemon juice until combined. Add the firm cream and mix so the mixture is smooth. Pour into the pie crust and refrigerate for a few hours. Stunning stunning stunning. No other words necessary. 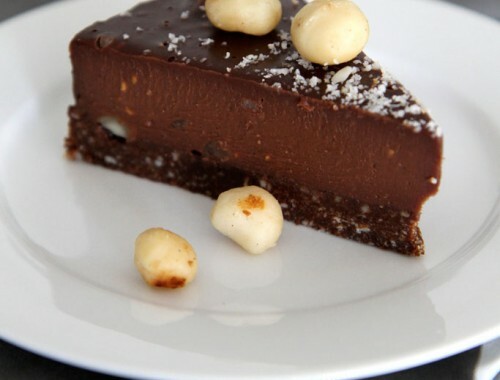 An absolute winner…..Delicious…..Delicious !! 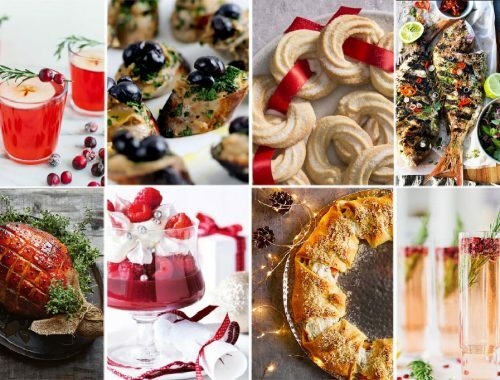 Presentation …. Beautiful. I hear ya Ev.If only we took some time out from our daily grind, there is so much to see. 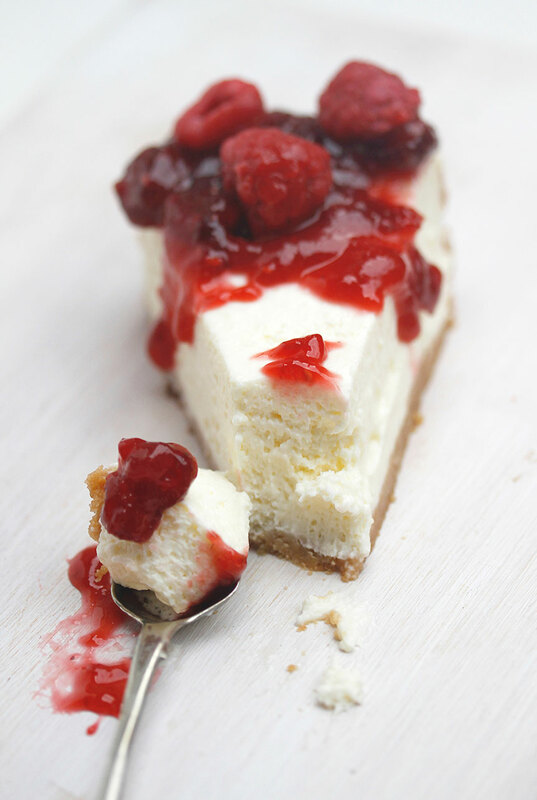 And this is such a versatile cheese cake.